Woodworking, of course, is not always about making a buck; plenty of us are in it as a hobby, for the pure enjoyment of it. We make stuff for ourselves and others; nothing wrong with that – but for those of us who are trying to make a buck at it, it can be tough. 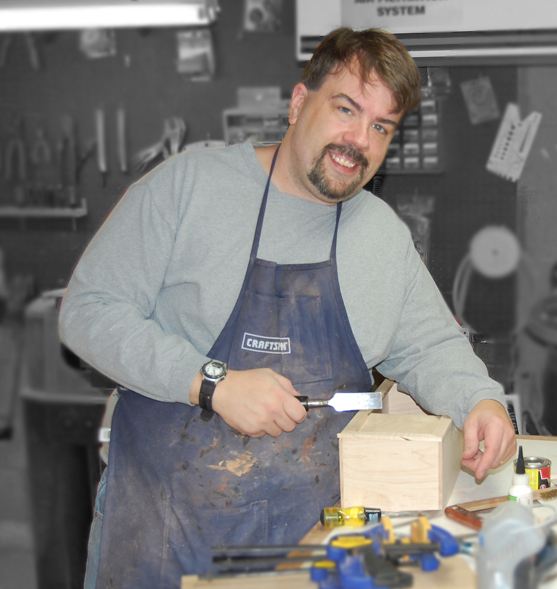 I’ve tried a lot of different things trying to make it – big time – in woodworking. I’ve done ok, but I’m not where I want to be. So, in the spirit of helping out others, I thought I’d pass along some tips, tactics and strategies that have helped me out – and I hope they help you too. • Selling is about need. A good salesman doesn’t just find a need to fill – as in, “You need a new medicine cabinet? I can build that!”. If you take that tact, you have to wait for them to come to you, to have a need to be fulfilled. Good salesman create a need. You might be asking, “But how do I tell that lady she needs a new medicine cabinet, when she doesn’t?” She needs the better one you have to sell her. Your cabinet can hold more things, has a bigger mirror, is made of cherry, which matches her bathroom cabinet, and so on. You create a desire, a want. Look at car commercials – you care is probably just fine – but don’t you want that hot Lexus on TV? The luxury, the styling, the driving experience? It all looks appealing to you. Again, creating a need where none exists. So how does this work in the woodworking world? Well, you take the car company tact, and make a product that appeal’s to a women’s sense of decor (most of our customers are women, let’s face it). You’re not going to sell a clock made out of a table saw blade – though that might work for some guy’s shop – but you can sell a nice mission style clock for her mantel. Women like to attract beautiful things to themselves – whether that be adornments, like jewelry or clothes, or their surroundings, as in your beautiful table, cabinet, clock, etc. • Sell value, not price. You’re never going to beat the big box stores on price; it’s impossible. People will look at you like you have three heads when you tell them your mission mantel clock is $475, when, by God, they can get a clock at Walmart for $20! Off hand, their point seems valid, a clock tells time – in this case, one for $20, the other for $475, so why should they spend more? The answer is in perceived value. If that’s all they value, something to tell time by, then you’ll never make the sale. However, if they value the story behind the clock – how you picked out the cherry yourself, crafted it yourself from your own plans, and how it is much more visually pleasing then the white plastic, made in China clock that won’t last for more than 5 years, and isn’t something you’ll be handing down to your heirs, like your clock will be – now you’re talking about value. • Differentiate yourself from competitors. Why should I buy from you? What makes you better then this other guy? It’s not always about price, by the way. You could sell yourself on many traits – you have over 20 years making clocks; you have a long list of customer’s testimonials; your design is unique – yet very appealing, you use mechanical movements while others use electronic movements and so on. Of course, your product should be the number one thing that differentiates you from others – the quality, craftsmanship, styling – all need to be appreciably better then other woodworkers. You must stand out, and above. • It’s about relationships. Not the one with your girlfriend, or your wife (! ), but with the customer. People like to feel special, and they feel special when they have a relationship with someone that is special. This explains the lures of celebrities; why do people come off positively giddy when they meet Tiger Woods or Kim Kardashian? One chase balls around a country club; the other chase balls all over the country. These people are special – in that a lot of others think they are special – so when you have a moment with them, however brief, you feel sort of special too, and you run back and tell all your friends whom you just met. Well, to your customers, you are kind of the rock star, in a mild sense. People are thrilled to have stuff custom made for them, especially by someone who is percieved to be a very good craftsman. Think about it – what if Sam Maloof made you his famous rocker, or Krenov, his cabinet – just for you? Wouldn’t that make you feel great? Well, that’s how your customers should – and really do want – to feel. Once you get that customer, be personable from first contact forward. You don’t have to be their best friend, but you don’t have to an aloof cashier at 7-11 either. You hopefully can build some relationship with the person, and therefore, future sales. Watch for my next post in this series….